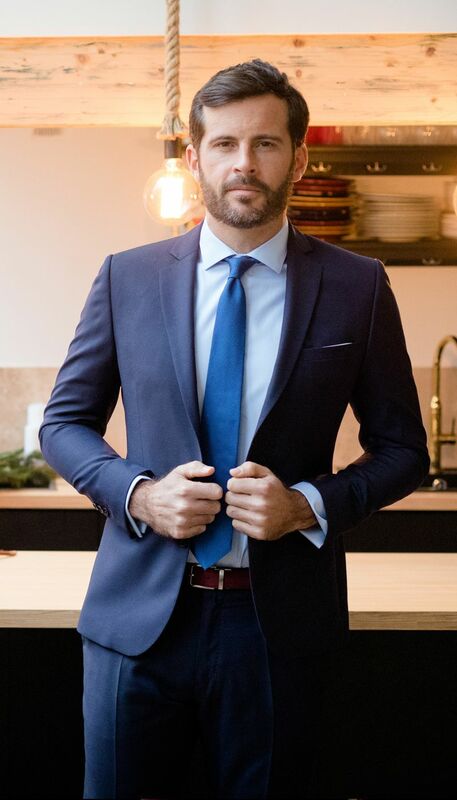 A navy fitted two-button jacket made in a semi-traditional way in a worsted wool from Vitale Barberis Canonico, with tapered trousers and a meticulous finish. 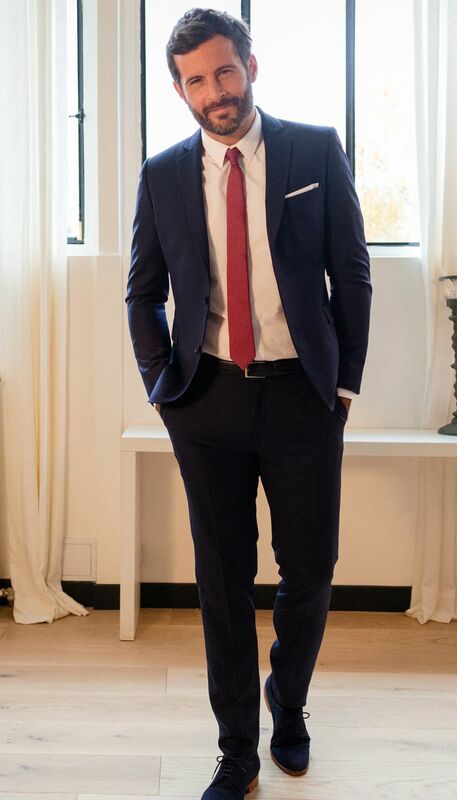 This suit has all it takes to become your new ally in everyday life. By default, the pants size associated with the suit jacket is obtained by doing this calculation: Jacket Size minus 8. 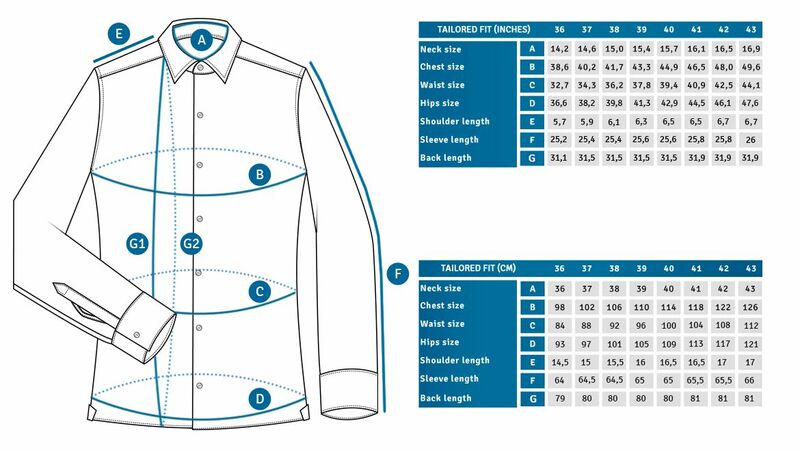 For example, if you choose a jacket size 48, the matching pants will be in size 40. 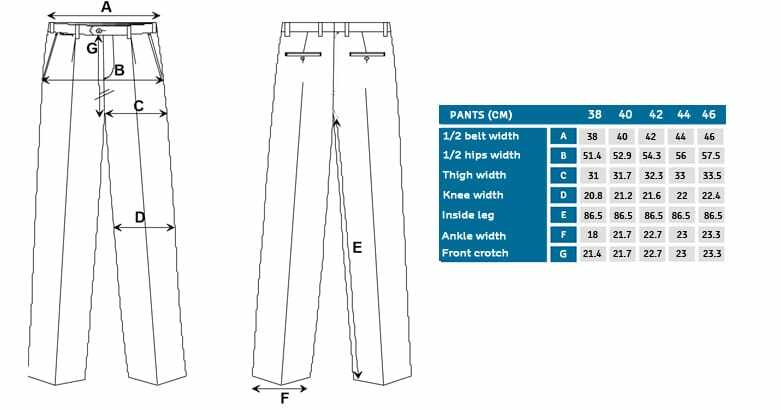 The pants have unfinished hems, ready to be adjusted to the desired length. 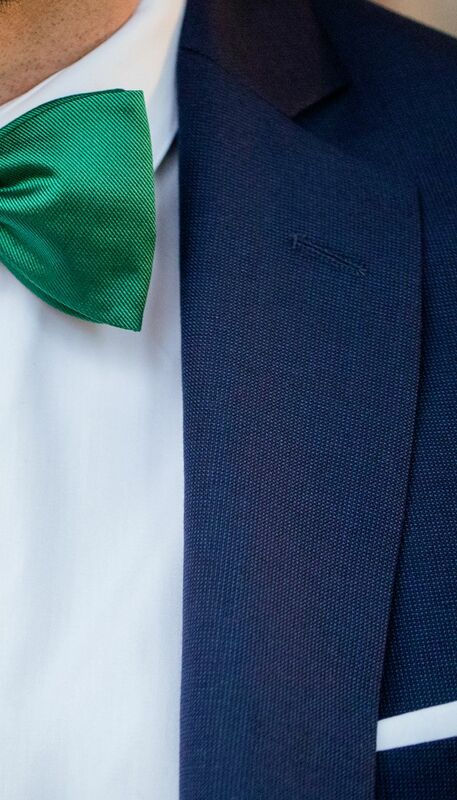 Width of lapels: 7 cm. Weight: 260 g / m2.